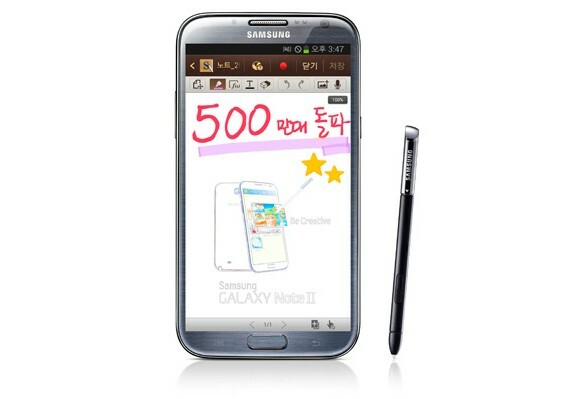 Just 3 weeks ago, Samsung was reported having 30 Million units of Galaxy S III and 3 Million units of Galaxy Note II sold worldwide. Now Samsung has sold over 5 million units of its 5.5″ Phone Tablet device across 128 countries. That’s a remarkable feat for a large smart phone device considering it started rolling out commercially just 2 months ago. The Note II was launched in Malaysia last month in just 42 days from its global announcement. From the looks of things, Samsung is set to hit a milestone thanks to faster roll out and a much extensive global launch.